Finally I have the internet, so here’s some more news about Euskaltel’s transfer dealings. I was planning a big post about the rather more important news of the week but everything has pretty much been covered at this point, so here we are. As we all know, the Basques have been plotting to bring in foreigners for the first time next season. The likes of Marek Rutkiewicz (POL), José Rujano (VEN), Robert Vrečer and Jure Kocjan (both SLO) have all been linked to Euskaltel over the past few weeks and months. Now we know that three non-Basques are joining the team next year. Diario Vasco’s trustworthy Benito Urraburu has said that the team will gain 300 points in the UCI’s magic sporting merit ranking with the arrivals of Juan José Lobato (ESP), Ricardo Mestre (POR) and Alexandre Serebryakov (RUS). 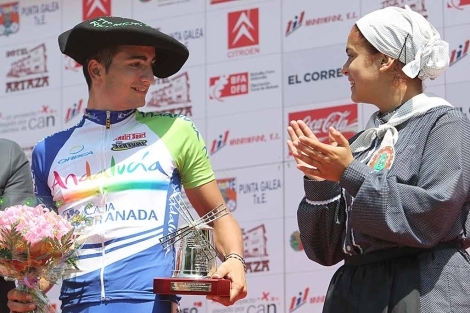 23 year-old Lobato, who hails from Trebujena, Andalucía (pretty much as far away from the Basque Country as you can get and still be in Spain), finished his first Vuelta this year, and took stage wins at the Tour of the Qinghai Lake and Vuelta de Chile. 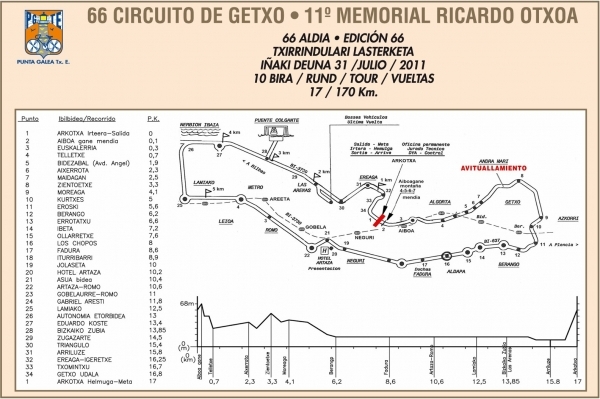 Last year he won the Circuito de Getxo, beating the likes of Joaquin Rodriguez on the tough uphill finish. While they’re not massive wins, he brings points and could be useful in the sprints. Mestre will join from Portuguese Continental team Carmim-Prio. The 29 year-old won the Volta a Portugal last season but failed to defend his title after falls forced him to abandon. He also won the tough Trofeu Joaquim Agostinho last season. He should be a useful all-rounder who can help out the bigger names on the squad. Mestre is the only fully confirmed transfer, having said so himself, but the others are done deals according to Urraburu. Lastly, we come to 25 year-old Russian sprinter Alexandre Serebryakov. He has won stages at the Tour of China and the Tour de Korea this year, as well as the Philadelphia International Championship. He was fifth at this year’s Kuurne-Brussels-Kuurne, and will be leaving Team Type 1 (who are transitioning to a team of riders with type-1 diabetes for next year) after one year there. With another sprinter (young Basque Jon Aberasturi) joining from Orbea, it seems as though Euskaltel are looking to put together a well-rounded squad for the next campaign. It remains to be seen how these new additions will go in the WorldTour, having seen some success at lower levels. They certainly aren’t as obvious points-grabs as Mahdi Sohrabi, the Iranian who is leaving Lotto-Belisol after only one season there. The team has 381 points, with Samuel Sánchez leading the way on 258, while Mikel Nieve has 47, and Igor Antón 38. With 300 extra points, the team should be safe in the WorldTour for 2013. I’m glad that the team will be able to stay and compete at the top level, but the fact that the core value of the Basque-only squad has now been disposed of is saddening to say the least. As Urraburu says, “the system is an aberration from all points of view”. The way the UCI runs things mean that the work of domestiques isn’t recognised, and forces teams to look to riders who are perhaps not up to the quality of the WorldTour but have won points in lesser races. The system also puts pressure on riders to get points and results, and we all know what that can lead to. Meanwhile, Amets Txurruka, one of Euskaltel’s discarded riders, has taken the short journey from Bilbao to Pamplona to join ProContinental team Caja Rural for 2013. Orbea’s Omar Fraille (turned down by Euskaltel for 2013) and will be joined by David Arroyo, runner-up in one of the best Grand Tours of all-time, the 2010 Giro. Since the inception of the team, Euskaltel have relied on local riders coming up through the various youth ranks funded by Fundación Euskadi, riding Orbeas manufactured locally and (for a while) wearing Etxe-Ondo clothing. Now the great tradition of the Euskal taldea has fallen.